Students' Union Election of University of Benin. It is painful and nauseating that the students are made to suffer from what they ordinarily shouldn't be subjected to. 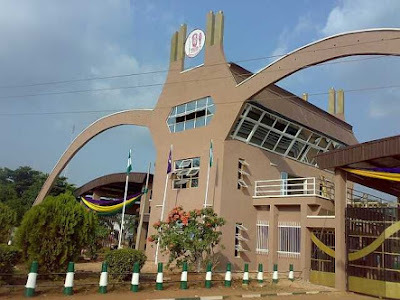 NANS Zone B frowns at the Uniben scenario in its entirety. Although the Dean of Students has given certain explanations why the school management shifted the election, yet we are still not satisfied with some of the explanations given, as they would have been averted during the recent rescheduling of the election for the second and third times, on the 12th and 13th of April respectively. Sequel to the above, the Zone has commenced wide consultations, enquiry and massive mobilisations awaiting the next line of action to be taken if the issue is not resolved amicably towards the agitations and yearnings of the students. However, a meeting has been slated for today, with the Vice Chancellor, to look into the entire issue properly. Should he and the entire school management dance contrary to our demands, then "immediate striking" would become inevitable. The Zone would in no way waste time in unleashing the unexpected if concessions are not properly made. We refused to sit and watch our students passing through the pains and anguish accrued from administrative hegemony, of which they have suffered from, for some time now. Uniben students have a "say"and it must be respected. They are not animals , they are humans. Hence, they should be treated as such, with value and respect. All forms of negligence and marginalisation of Uniben students must stop now! We urge all Uniben students to keep their fingers across, while we meet and present our demands to the management a few hours from now, after which our next line of action would be communicated to all and sundry immediately after the meeting. NANS Zone B says NO to incessant marginalisation of Uniben students by the school management. The students have a right which must be protected and any attempt to breach it would not in any way be condoned! We say NO to all forms of ulterior interferences by the school management in the union election. Let the will of the students prevail! And let their wish be respected! Aluta Continua , Victoria Ascerta!!! !